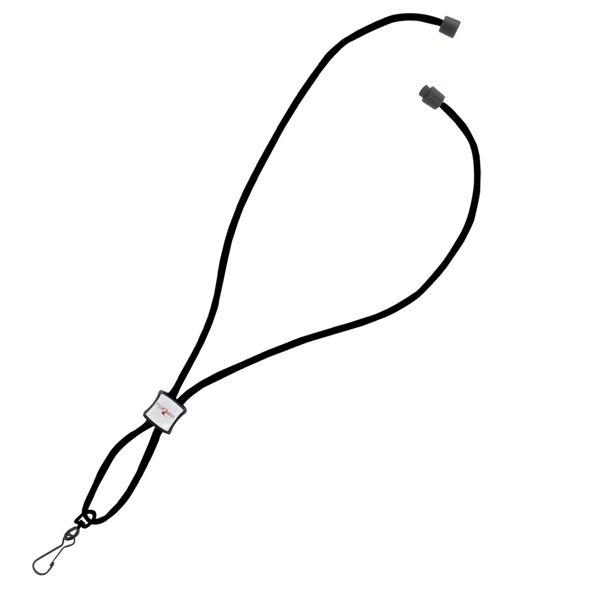 Imported 1/8" Polyester Cord Lanyard with Silver Crimp and Split-Ring. Turn time: Air: 11-15 business days after pre-production proof approval on select styles. Ocean: 45-50 business days after pre-production proof approval on select styles. Timeline is based on no customs delays or scheduled holidays. 500 piece minimum. Contact your Sales Rep! 16" per side. 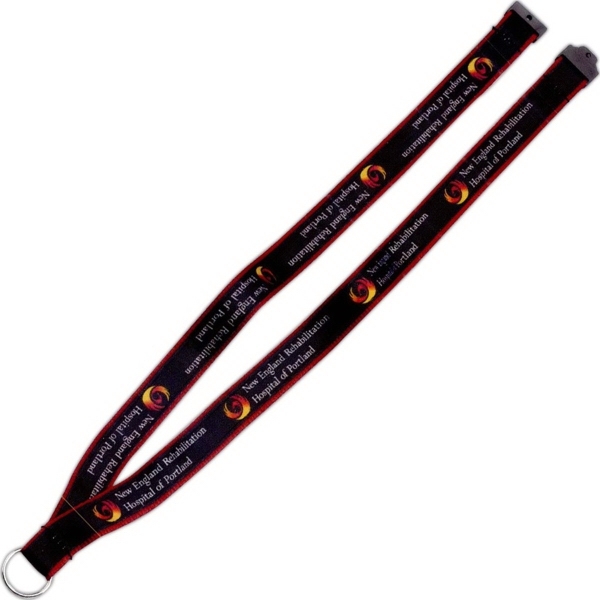 This 3/4" imported woven lanyard comes with a split-ring and neck release. 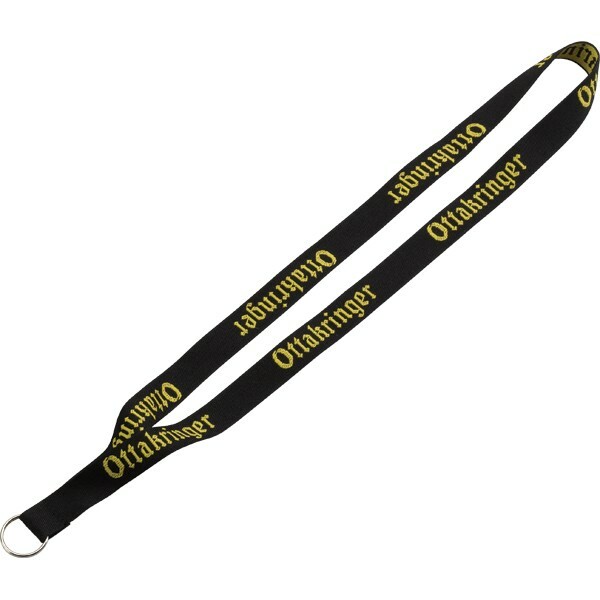 Choose from several custom colors, widths, lengths and attachments and add an imprint of your company logo or design. Convenience releases are also available. Please note, timeline is based on no custom delays or scheduled holidays. Air freight takes approximately 12-15 days, ocean freight is approximately 40-45 days. Contact the sales department for a custom quote. 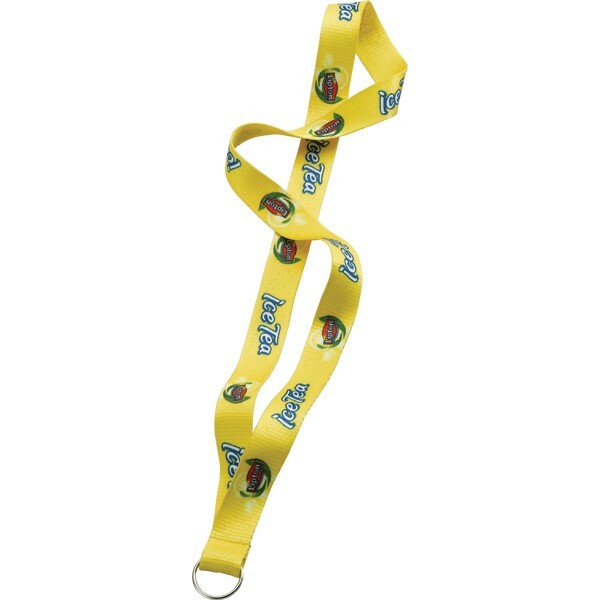 Choose this 3/8" imported tube lanyard with metal split ring and convenience neck release as a cool giveaway. Custom colors, widths, lengths and attachments available. Conveniience releases also available. 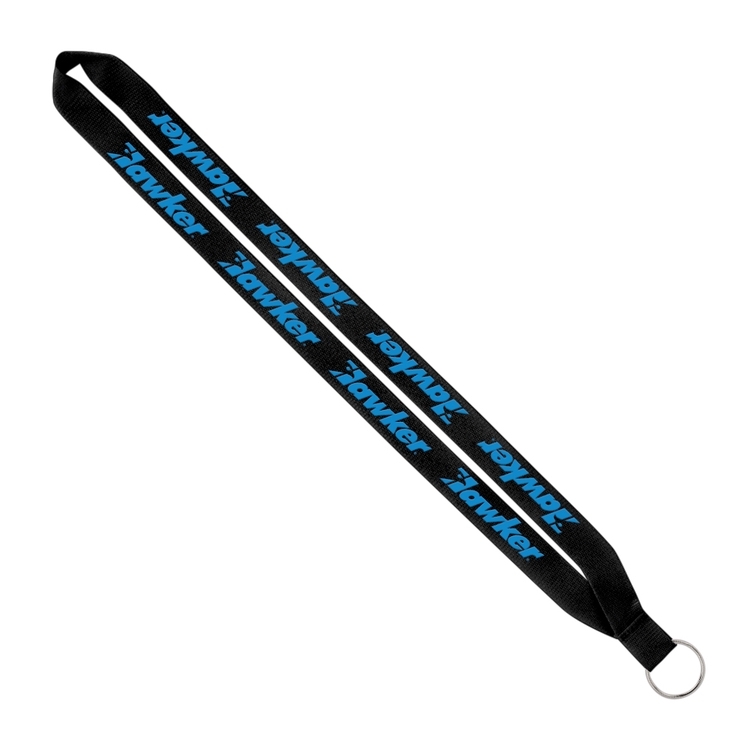 Dye Sublimated Lanyard with Metal Split Ring. Imported. 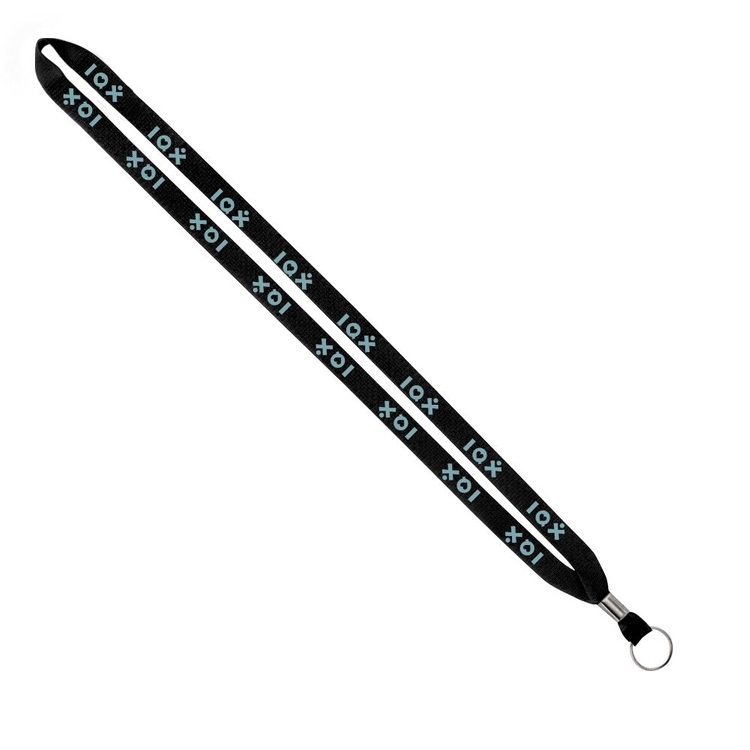 1/2", 3/4", and 1" widths available. SnugZ USA is a QCA accredited company. 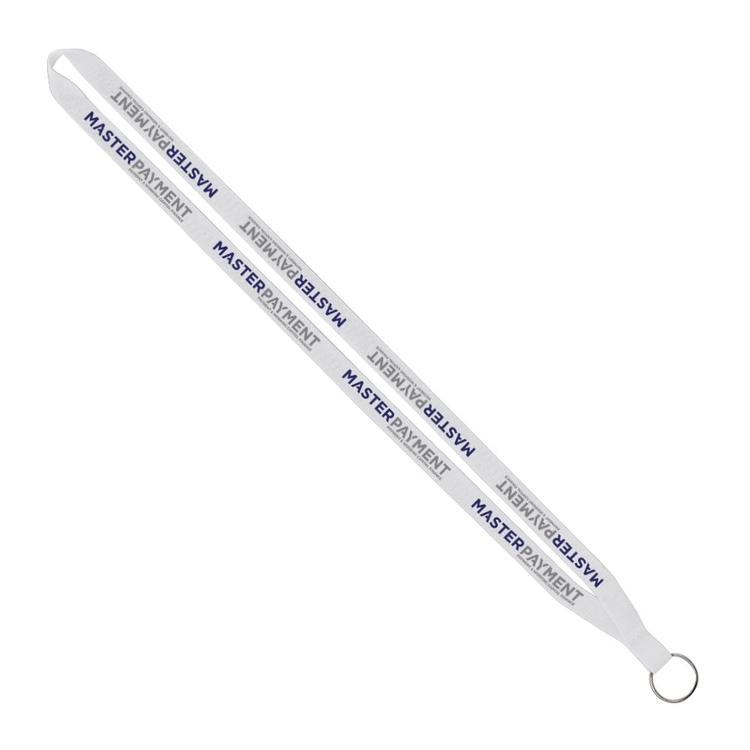 Polyester Tube Lanyard with Metal Split Ring. Imported. 3/8", 1/2" and 3/4" widths available. SnugZ USA is a QCA accredited company. 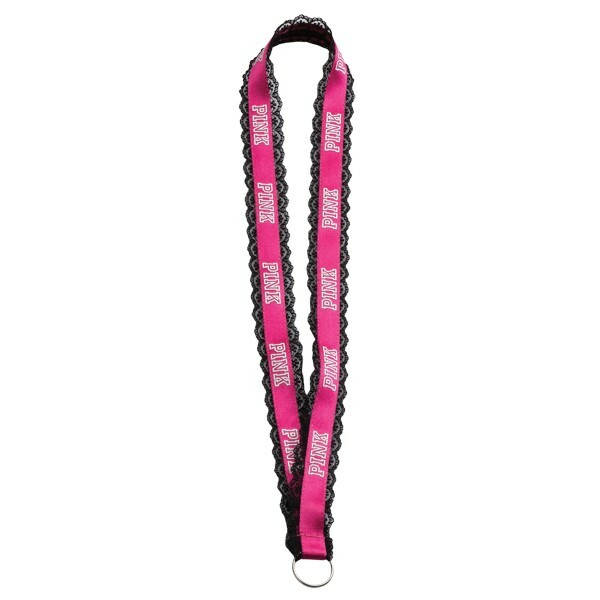 Polyester Lanyard with Woven Ribbon & Metal Split Ring. Imported. 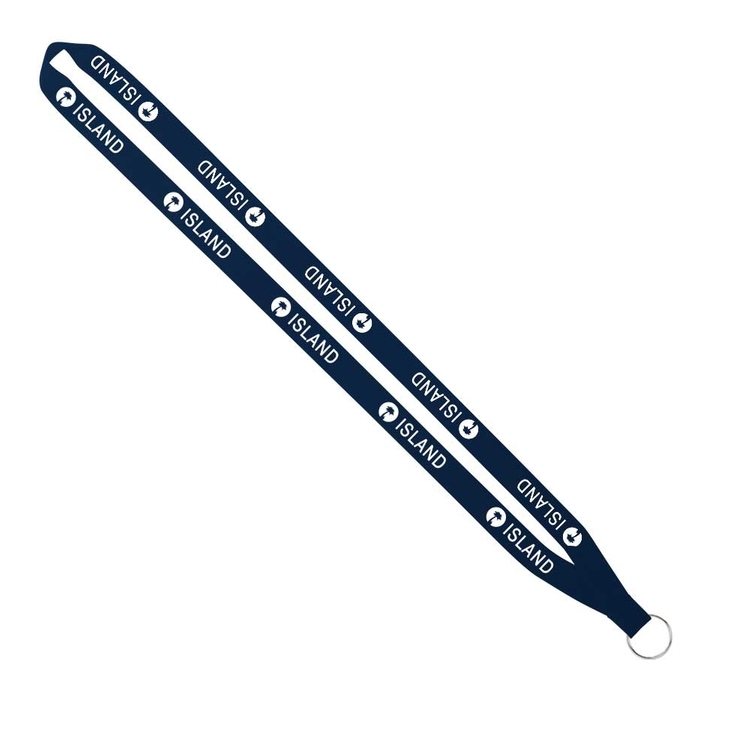 1/2", 3/4", and 1" widths available. SnugZ USA is a QCA accredited company. Cut the "cord" on your company's old marketing techniques. 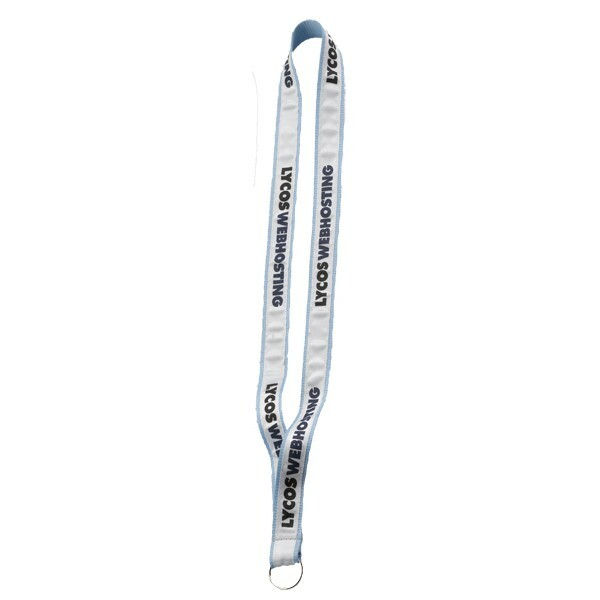 Choose this 1/8" polyester economy cord lanyard with bulldog clip as a terrific giveaway during promotional events. Here's an item to "ring" in a successful campaign! 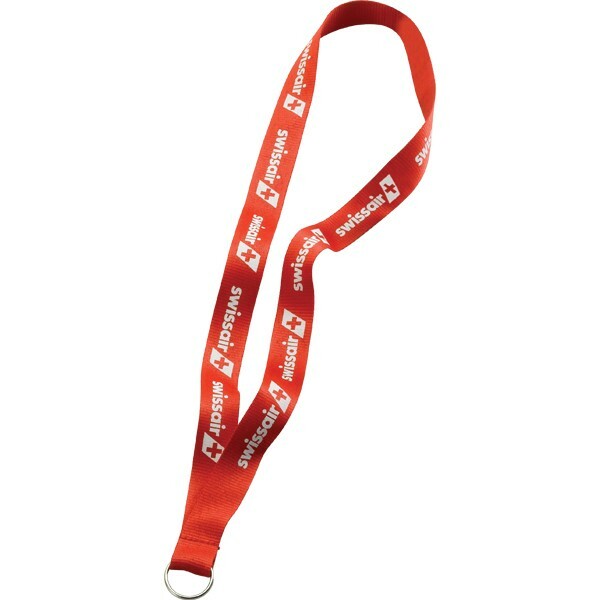 Select this 1" imported dye-sublimated lanyard with convenience release and silver oval lobster claw. 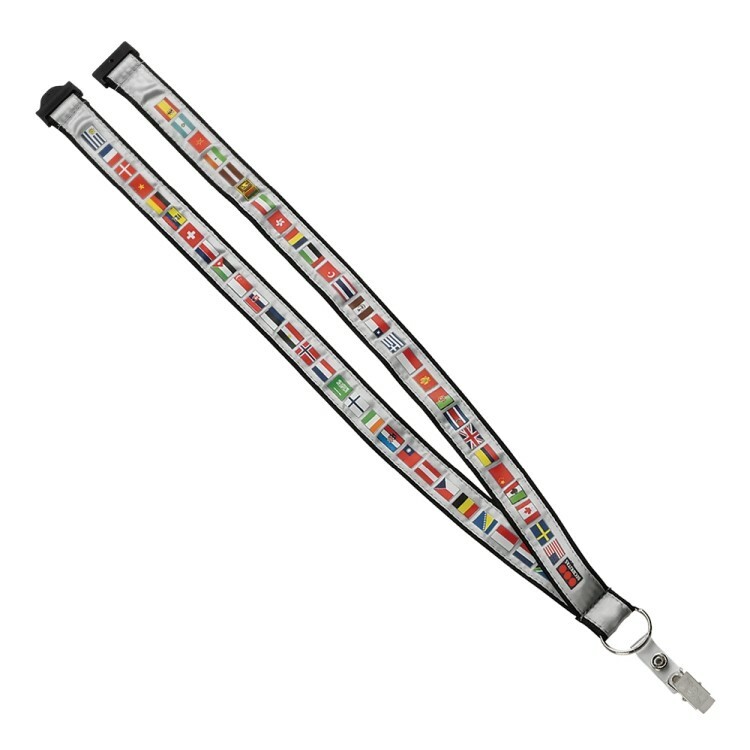 Custom widths, lengths and attachments are available. Note: Timeline is based on no custom delays or scheduled holidays. Air freight approximately 11-15 days, ocean freight approximately 45-50 days. Contact sales department for custom quote. Introducing the SnugZ USA Rush Import Service. Get large orders in as little as 8 days (after final proof approval)! We have solutions for even the most demanding timeline or budget. Start customizing with 4 different attachment options that are all included in the price and several colors. Add a convenience release or slide release buckle for a small cost. 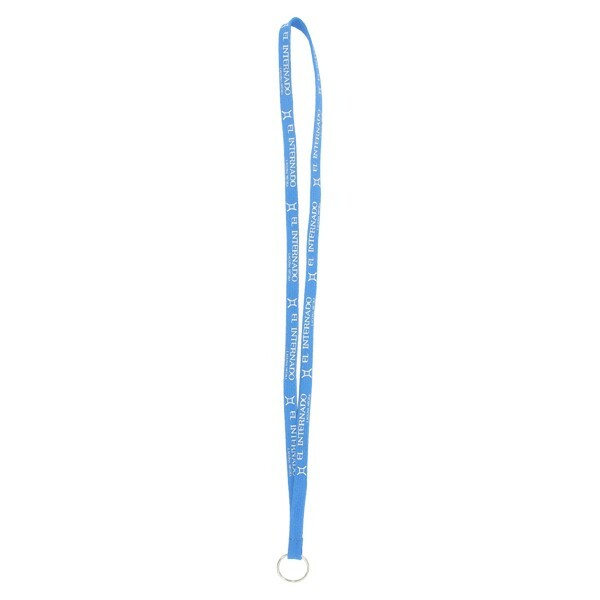 Order your rush import 1/2" polyester lanyard with sewn metal split ring today! Introducing the SnugZ USA Rush Import Service. Get large orders in as little as 8 days (after final proof approval)! We have solutions for even the most demanding timeline or budget. Start customizing with 4 different attachment options that are all included in the price and several colors. Add a convenience release or slide release buckle for a small cost. 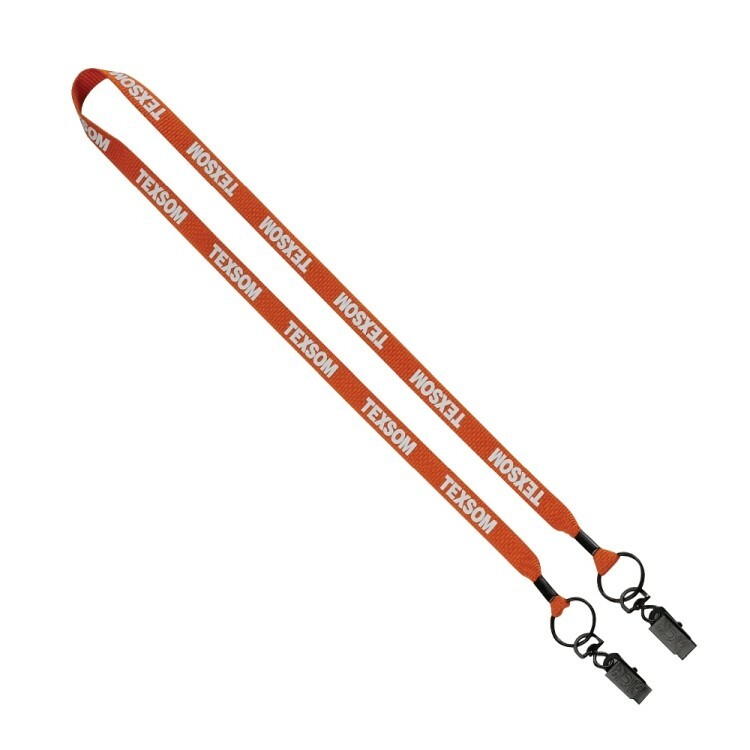 Order your rush import 1/2" polyester lanyard with metal crimp and split ring today! Here's an item to "ring" in a successful campaign. 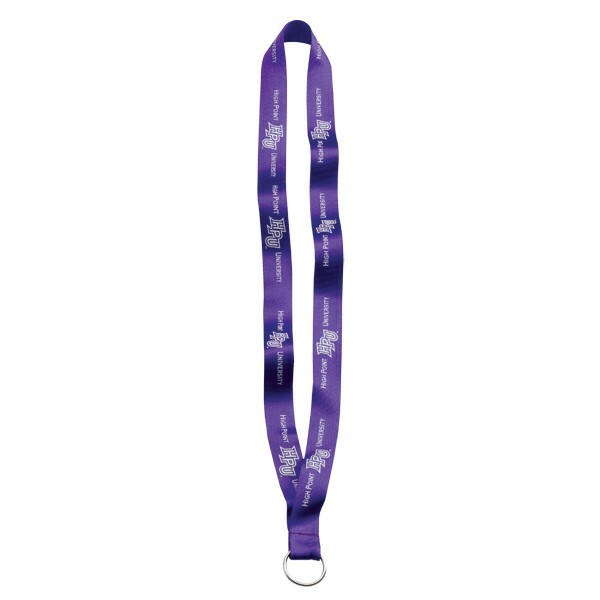 Select this 2 ply - 3/4" imported polyester and dye-sublimated ribbon with metal split ring. Custom widths, lengths and attachments are available. Convenience releases also available. Turn time: Air: 11-15 business days after pre-production proof approval on select styles. Ocean: 45-50 business days after pre-production proof approval on select styles. Timeline is based on no customs delays or scheduled holidays. 500 piece minimum. 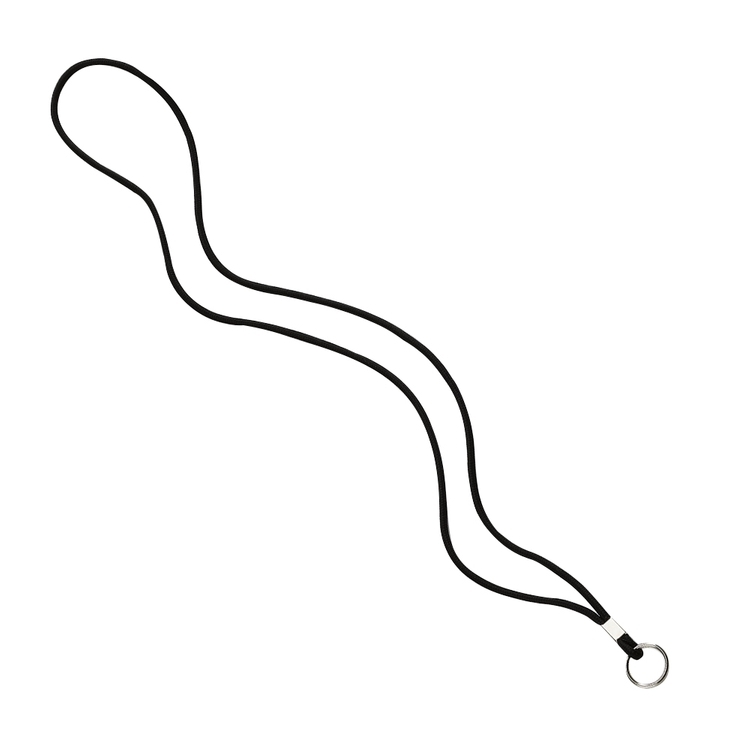 3/16" Nylon Parachute Cord Lanyard - While Supplies Last! Check inventory before ordering! 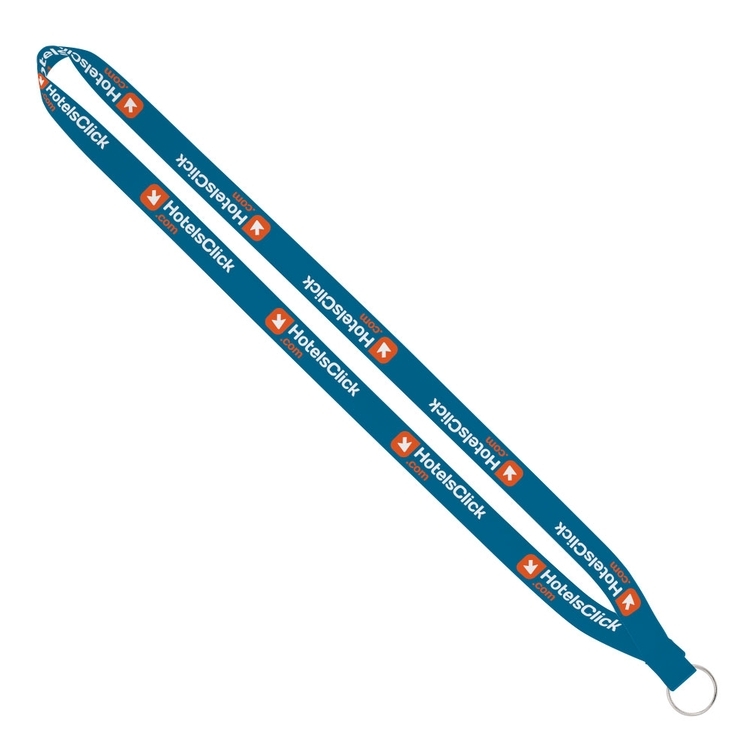 Here's an item to allow your company to "dive" head first into success during upcoming promotional events. Choose this 3/16" nylon parachute cord with a square slider and swivel snap hook. This product also features an adjustable locking slider. Press to unlock and adjust the slider. Only available in black! 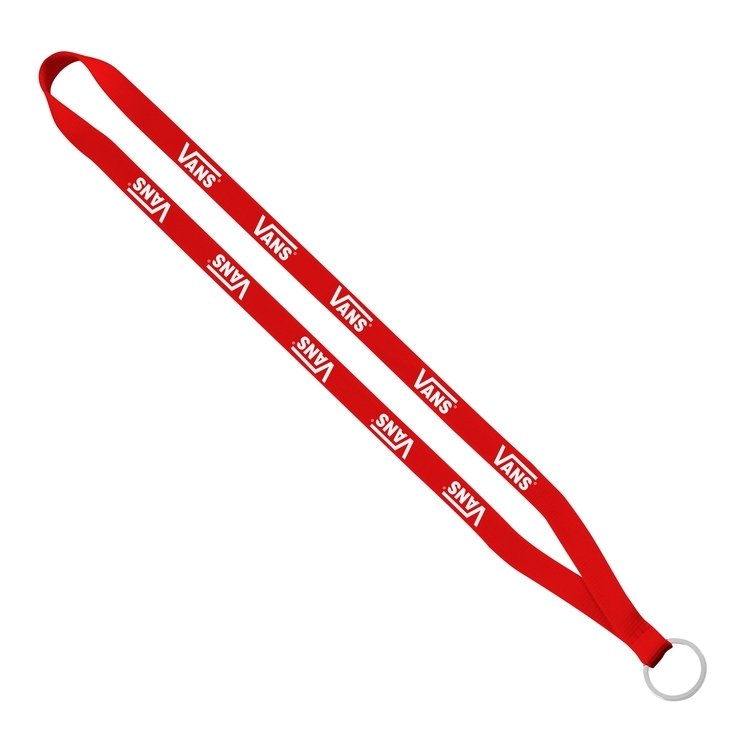 Add your logo to create a cool giveaway during tradeshows, conferences and seminars. Promote your business today. Introducing the SnugZ USA Rush Import Service. Get large orders in as little as 8 days (after final proof approval)! We have solutions for even the most demanding timeline or budget. Start customizing with 4 different attachment options that are all included in the price and several colors. Add a convenience release or slide release buckle for a small cost. 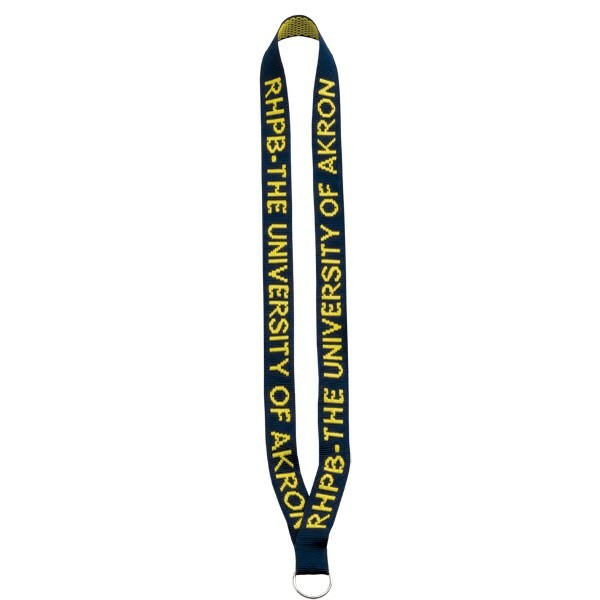 Order your rush import 3/4" polyester lanyard with sewn metal split ring today! Be up to your "neck" in success with this 1/2" imported double ended polyester screen printed lanyard with black crimps and attachments. 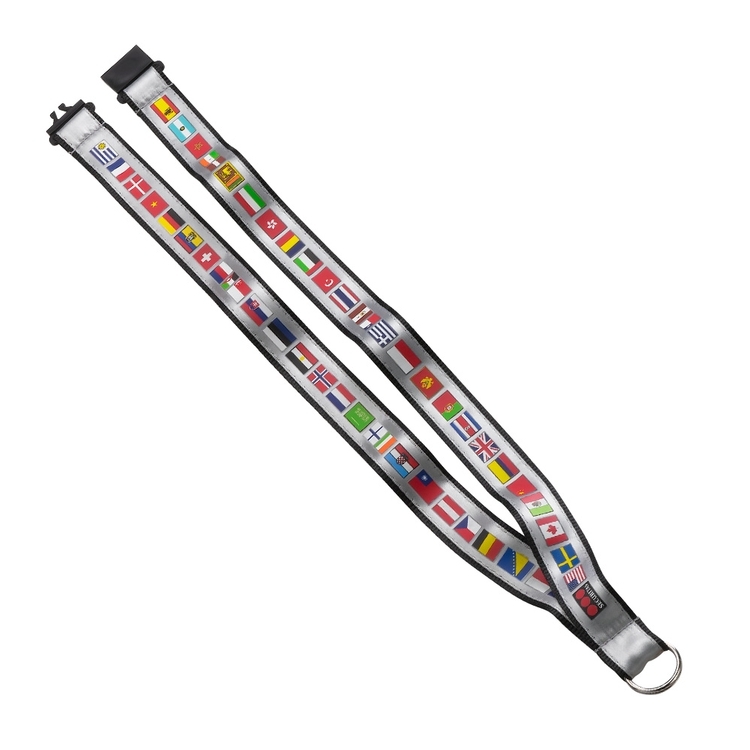 This item has custom colors, widths, and lengths available. Turn time: Air: 11-15 business days after pre-production proof approval on select styles. Ocean: 45-50 business days after pre-production proof approval on select styles. Timeline is based on no customs delays or scheduled holidays. Contact your sales rep! Introducing the SnugZ USA Rush Import Service. Get large orders in as little as 8 days (after final proof approval)! We have solutions for even the most demanding timeline or budget. 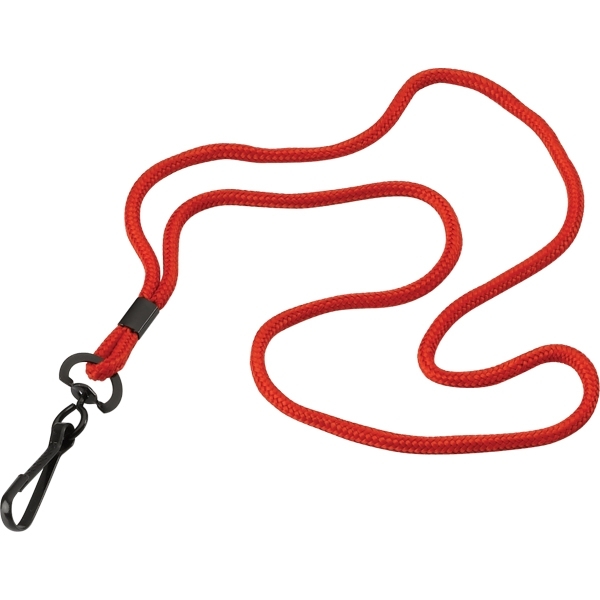 Start customizing with 4 different attachment options that are all included in the price and several colors. Add a convenience release or slide release buckle for a small cost. 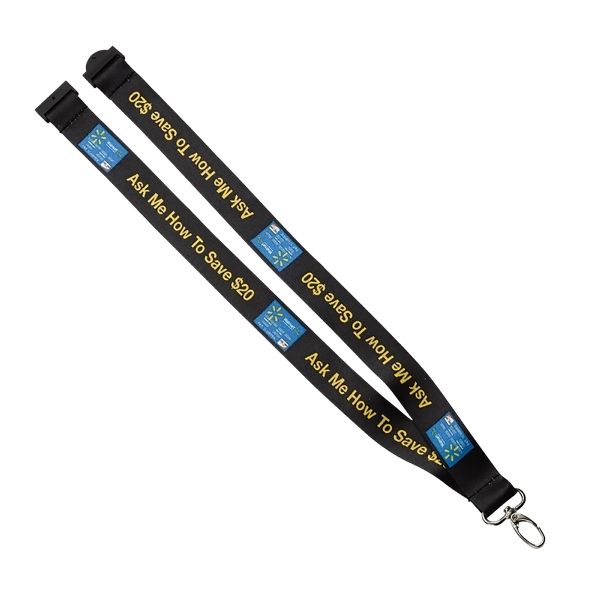 Order your rush import 3/4" polyester lanyard with metal crimp and split ring today! 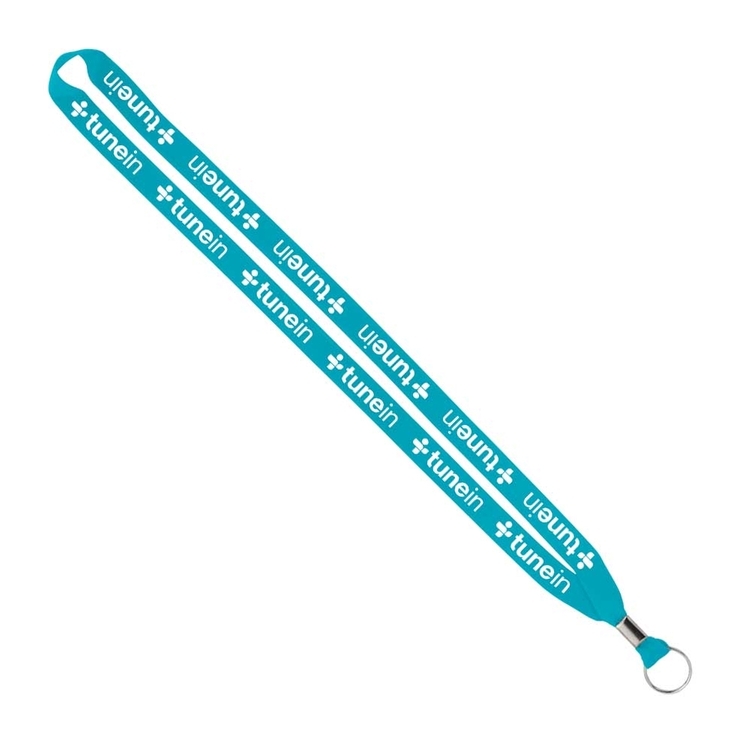 Imported Polyester Lanyard with 1-Color Screen Printed Ribbon with vinyl snap on a split-ring and release. Turn time: Air: 11-15 business days after pre-production proof approval on select styles. Ocean: 45-50 business days after pre-production proof approval on select styles. Timeline is based on no customs delays or scheduled holidays. 500 piece minimum. Contact your Sales Rep! 16" per side. Introducing the SnugZ USA Rush Import Service. Get large orders in as little as 8 days (after final proof approval)! We have solutions for even the most demanding timeline or budget. Start customizing with 4 different attachment options that are all included in the price. Add a convenience release or slide release buckle for a small cost. 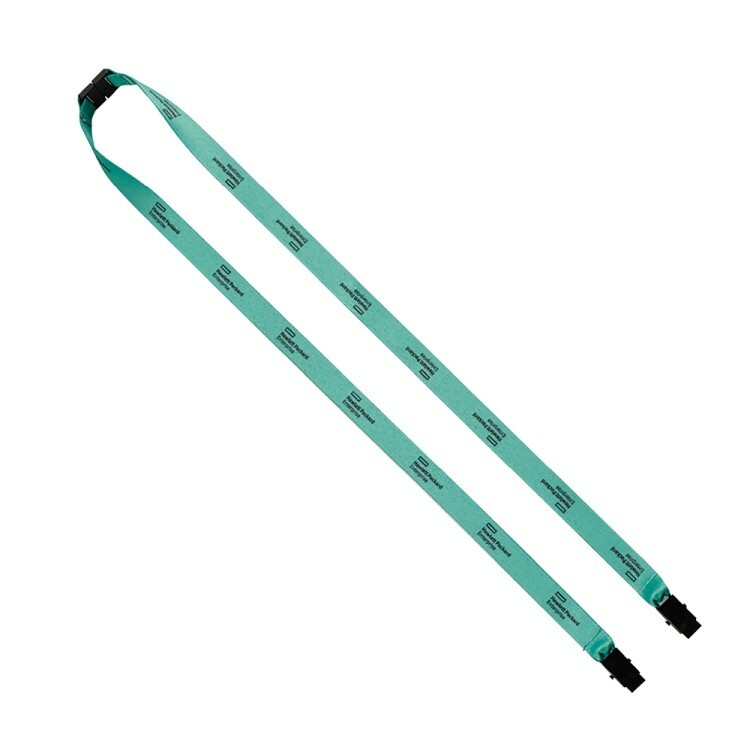 Order your rush import 5/8" dye-sublimated lanyard with metal crimp and split ring today! Introducing the SnugZ USA Rush Import Service. Get large orders in as little as 8 days (after final proof approval)! We have solutions for even the most demanding timeline or budget. Start customizing with 4 different attachment options that are all included in the price. Add a convenience release or slide release buckle for a small cost. 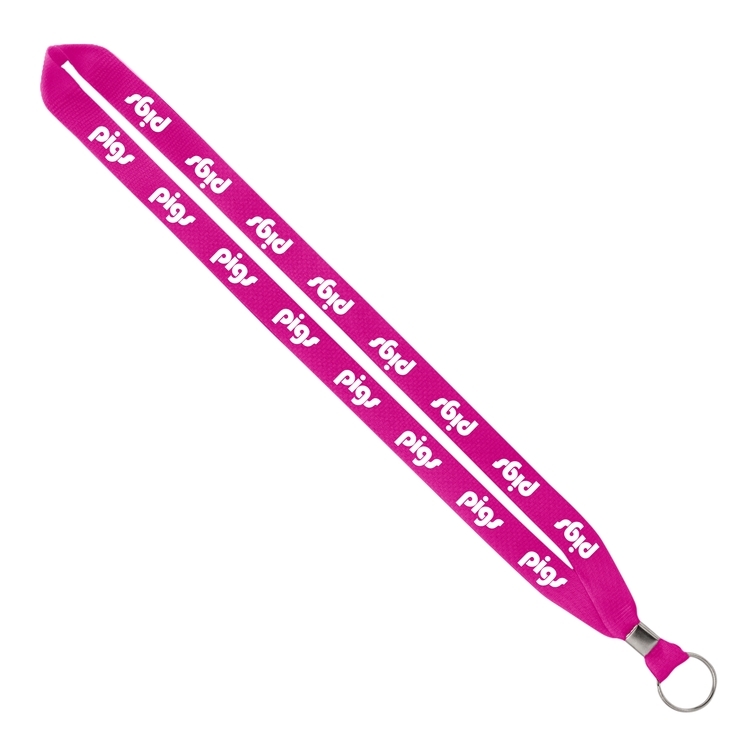 Order your rush import 5/8" dye-sublimated lanyard with sewn metal split ring today! 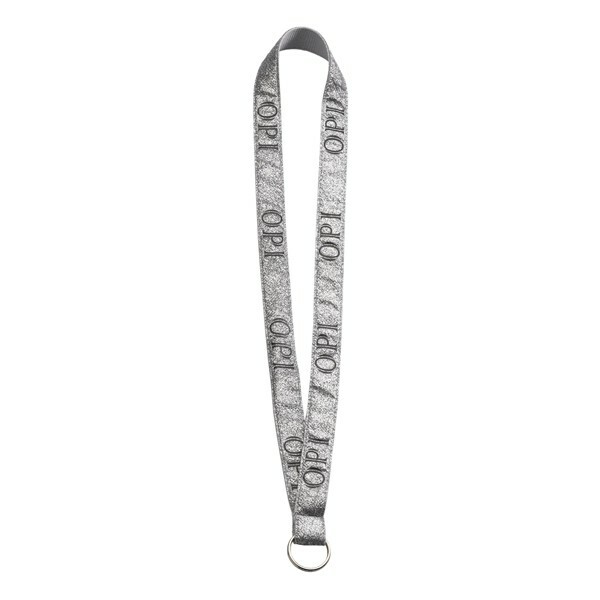 Glitter Lanyard with Metal Split Ring. Imported. 1/2" and 3/4" widths available. SnugZ USA is a QCA accredited company. 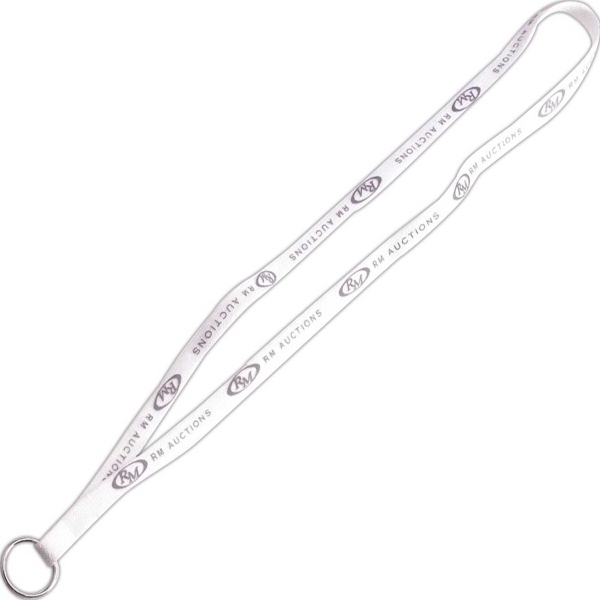 Lace Lanyard with Metal Split Ring. Imported. 1/2" and 3/4" widths available. SnugZ USA is a QCA accredited company.